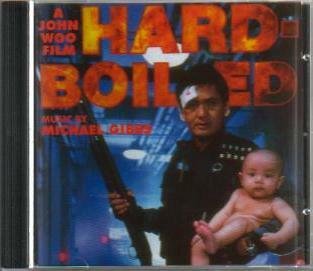 Hard Boiled OST CD was released in the UK under Mute Records back in 1993 to concide with the release of the film in selected cinemas. You can hardly find the CD in record stores these days but most major UK online stores like HMV still stock them. 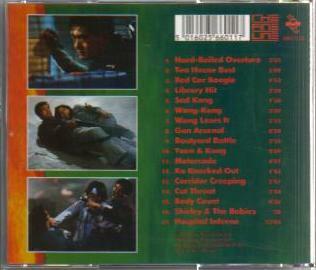 The CD consists of 17 music score tracks from the film and almost everything score in the film can be found in the CD in full length version.The film has the highest production value among Woo HK films and this professionally-done soundtrack is probably the proof to that as HK films back in 1993 hardly ever release soundtrack CDs. An essential companion to your Hard Boiled DVD or VHS. Note: The sample tracks are in wav format, I will try to put up full length MP3 as soon as possible. Published by Mute Records UK.